I have had this recipe stored for quite awhile but have never gotten around to making it. Well, today was the day. Rainy and stuck inside, perfect bread making weather. I wanted to use my bread machine and was hoping it would work. I cut the recipe in half and only used the dough cycle. I took it out of the machine, kneaded it and let it rise again for 45 minutes. It is absolutely the best bread I have ever had. I have another slice on a plate right now next to my chair. Thank you so much. Can you turn this into cinnamon swirl bread? That is such a sweet story about how you first started making bread! When the home arts slip into one’s life, they bring such grace with them. They are definitely a gift. 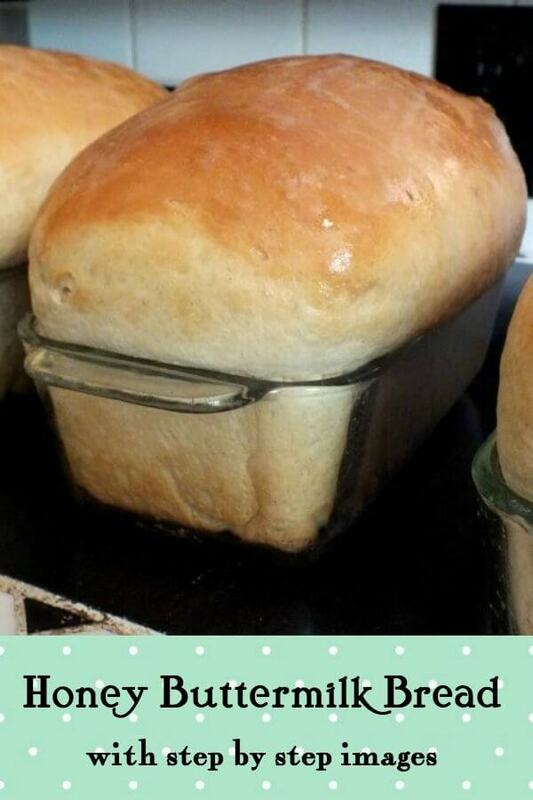 This loaf recipe looks awesome. I saved it off and hope to try it soon. Hi, Marye. 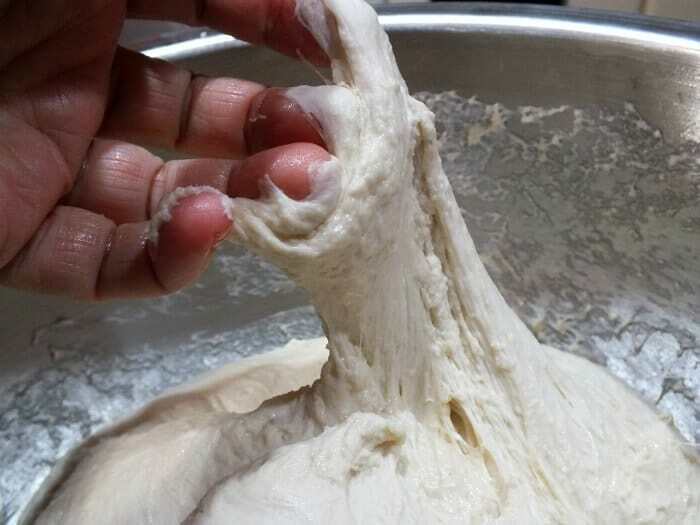 I use a Zo bread machine to make bread dough. Interested in this recipe! The most flour that I’ve put in my machine was 4 cups; any hints about this recipe measurements and a bread machine? Thank you for this recipe. It is the BEST BREAD EVER!! Your tips regarding ginger and other bread enhancers are terrific, plus your recipe for homemade buttermilk. Do you have a gluten free version – so that I can bake it for my friends that are on a gluten free diet. Many thanks for such a great website full of practical and delicious recipes. Baking again today, 2nd time, this is an awesome recipe, soft, moist and delicious and keeps very nicely, first attempt a little sweet so reduced the honey a little. Great recipe, thankyou ? 5 stars !! 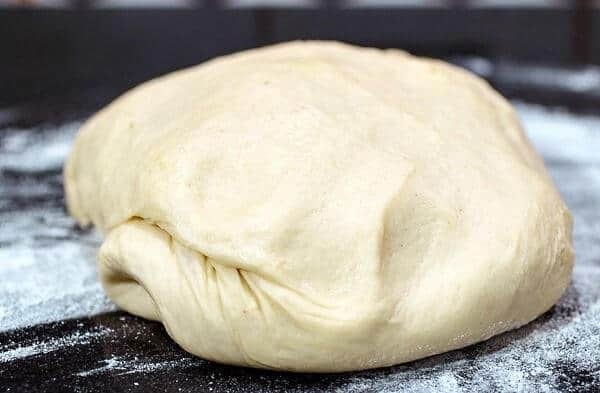 I am a little confused, I watched the video of how to make this bread but in the instructions there is nothing about using the paddle adapter on my stand mixer to incorporate ingredients and then switch to the kneading adapter. Could you let me know when to put ingredients into mixer bowl, how long to use the paddle adapter and then how long to use the kneading adapter. Thanks! I put my dough hook on when it said to add remaining flour, worked great and also skipped the kneading part on the counter, let my Kitchenaid do it for me. I just made this -it’s in the warmed oven on its first rise. Keeping my fingers crossed. I didn’t have ginger powder so I used a pinch of pumpkin pie spice since it has ginger in it. My bread may taste like pumpkin pie.. Hahaha….here’s hoping it doesn’t! Anxious to try it when it’s done. Your pictures are mouth-watering beautiful! I will come back and rate it after it’s all done and tasted. 🙂 oh – the ginger just helps activate the yeast… you can leave it out if you don’t have it. 🙂 Thank you! My loaves came out looking and feeling like bricks. Not sure what i did wrong but i think it may have been that the second rise wasnt long enough. I just got brave enough to taste it and it actually tastes really Good (and not like pumpkin pie!). 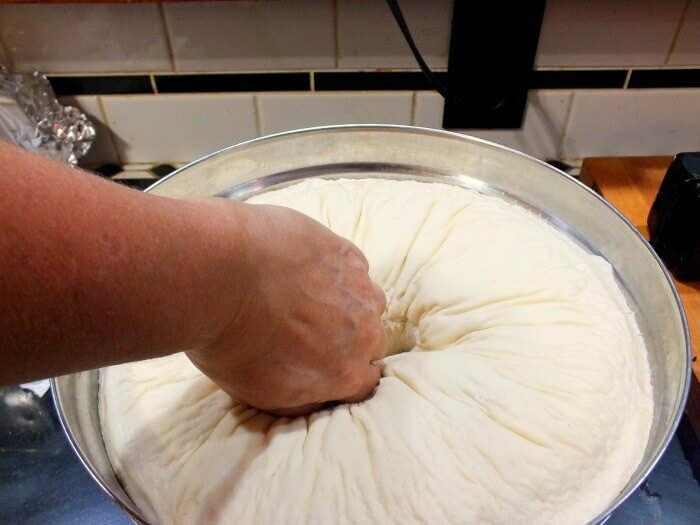 I will make again and make sure I let dough proof longer. It could be. If you’re still having trouble after the next try message me on the Restless Chipotle Facebook page and we can brainstorm. Sorry! Just saw to go by your mixers kneading instructions. If kneading with a Kitchen aid mixer, for how long and at what speed? 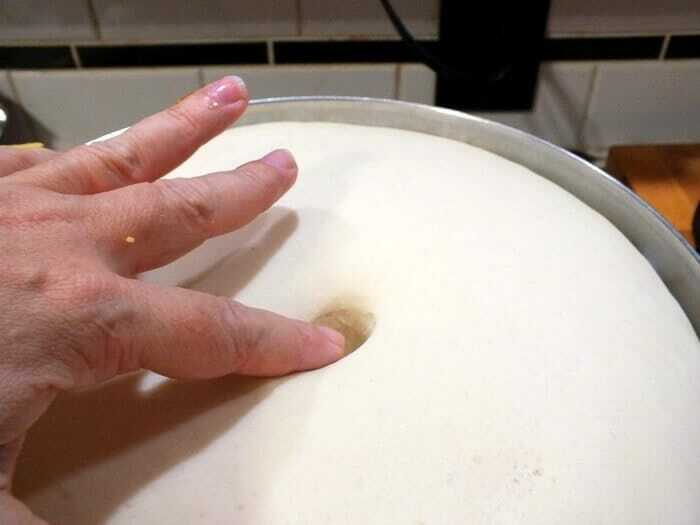 I USE MY KITCHEN AID TO KNEAD, ONCE THE DOUGH PULLS AWAY FROM THE EDGES OF THE BOWL, I KNEAD ON LOW SPEED FOR ABOUT 5 MINUTES UNTIL DOUGH IS SMOOTH. 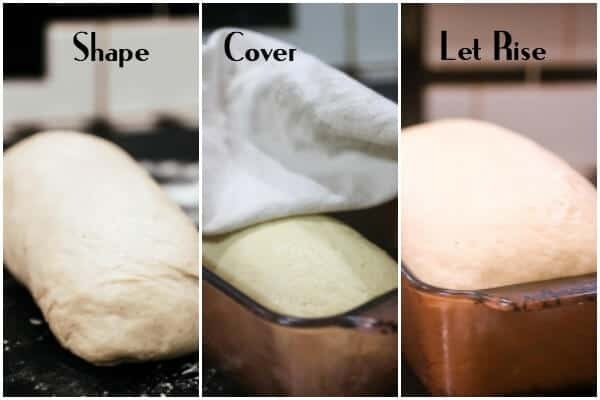 🙂 yep – that’ll work unless you try to do too many loaves at on e.
I was wondering if regular All Purpose Flour could be used in place of the bread flour and if so, how much of it would I use in relation to the bread flour? 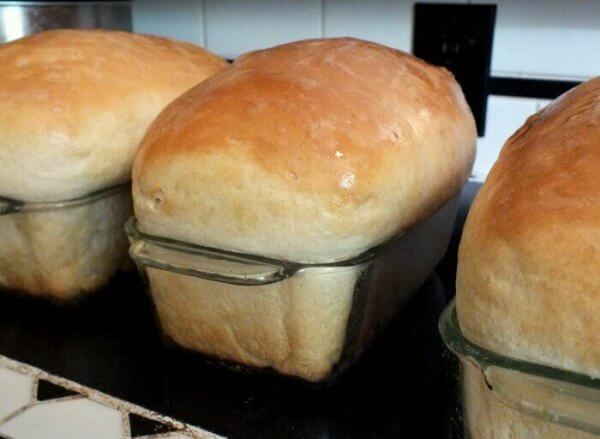 homemade bread and I would love to show her how to make this one!! yes it can. 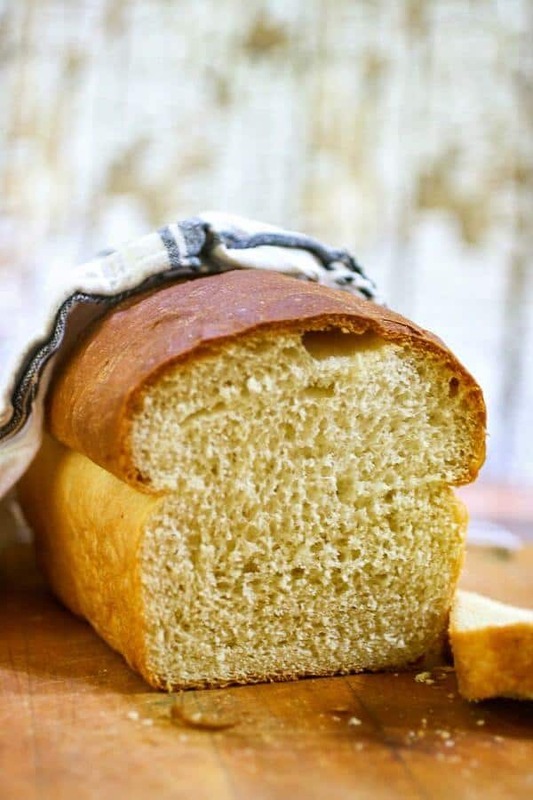 use it in the same proportions – the bread may not be quite as light and fluffy but will still be great. Add a bit of potato starch or zanthum gum to the AP flour. Can you use other flours or just bread flour, if so which??? So the recipe says to let it rise in the loaf pans until it is “about” (above?) the tops of the pans. How high above? Mine are in the oven now, and haven’t seemed to “rise” more, so aren’t very lofty. Did I misread something? Omg this was fantastic bread and I am very new at baking bread, that doesn’t feel like a brick. I make my own kefir and was wondering if I can use this instead of buttermilk. Mine is not as sour as buttermilk. I also bought your book waiting for it to arrive. I can’t wait to read it!!! This was the best bread I have ever made! I loved the texture and aroma from it. My whole house just smelled wonderful. I will make this over and over again…so easy and delicious! Thanks! I am so glad you liked it!! In case this helps anyone else.. I tried defrosting a loaf of dough (had kept it frozen as I didn’t need 2 loaves at one go) and it refused to rise a second time. Even though I had defrosted overnight in the fridge, then waited about 3 hours at room temp. This is possibly because I had kept the dough frozen for about 1.5 to 2 months. 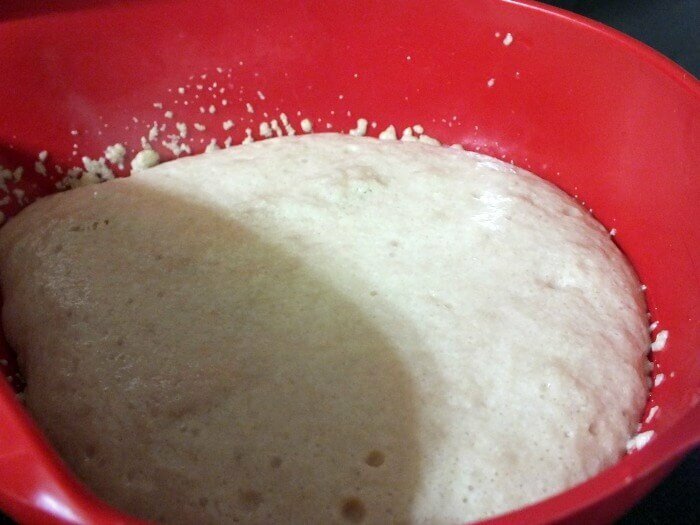 So I mixed up a new batch of yeast as per the recipe measurements, floured my counter top, put the dough on it and then poured HALF of that yeast mixture and kneaded it in by hand. Added more flour (I think it was about half to 1 cup – I was going based on how sticky it was) and kneaded for about 5 to 10 minutes. Once it was “only” crazy sticky, I gently “poured” the dough back into the tin (it was too sticky to shape) and let it rise for an hour until it just about reached the top of the loaf pan. Then baked it. It turned out well – it wasn’t too yeasty or anything. If you know you are going to freeze it add an extra teaspoon of yeast and an extra tablespoon of sugar to the recipe and that should help, too. Hi Marye,Love this bread recipe,came out awesome,such a nice tasting bread,will be making this again,Thank you for the recipe. 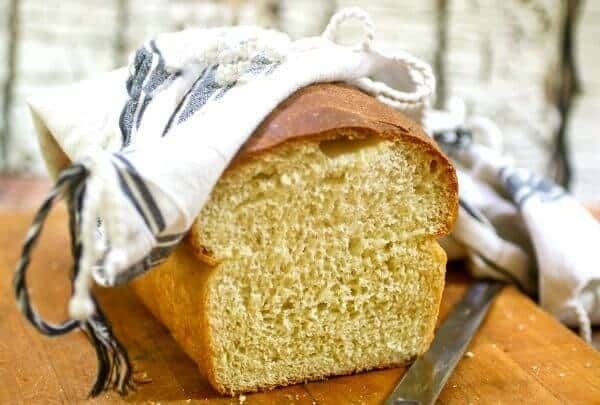 My first loaf of bread was this recipe.. And as a beginner, I found it tricky because of how sticky the dough was. But it turned out amazing and delicious. I had frozen the second loaf of dough, have defrosted overnight in the fridge and now waiting (and praying!) for the second rise to go well. Looking fwd to freshly baked bread! By the way, I read somewhere that piercing 3 holes, evenly spaced, along the top center of the loaf, before popping in the oven, helps prevent cracking. great idea! Thanks so much for letting me know! I made this last night and it was a hit despite missing some ingredients like ginger. This morning it’s still very soft and tasty. 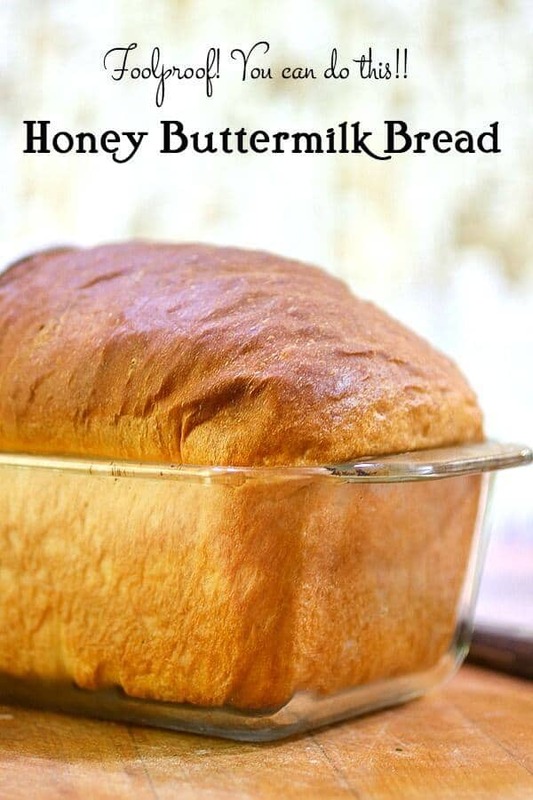 I might try using buttermilk on my honey oat wheat bread too. To my surprise I’ve looked up many “homemade” recipes, but they have some store bought mix. ..phooie on them. 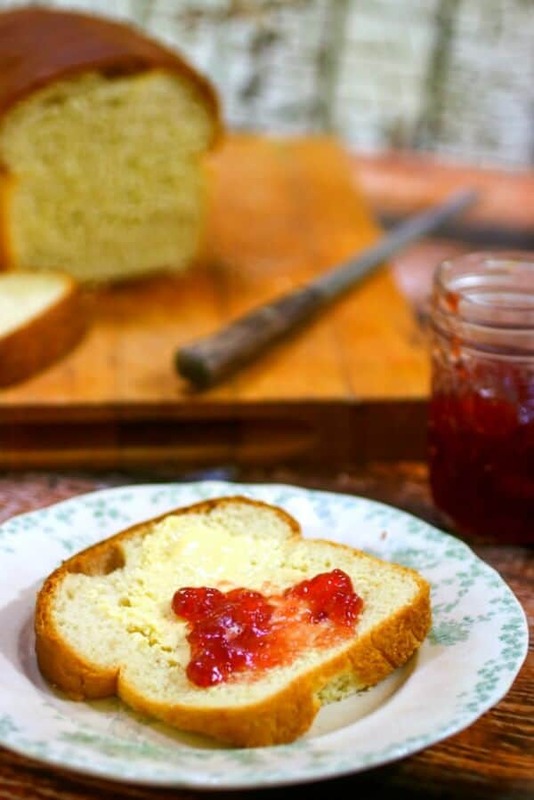 Your Buttermilk Bread looks amazing! Hope you are having a great week and thanks so much for sharing with Full Plate Thursday. Love this recipe! Cannot wait to try the cinnamon and buttermilk bread! Delicious! I loved the recipe however I am unable to understand the role of Baking soda in the recipe. I would appreciate if you can elaborate the reason and make me understand the science behind it. Baking soda is an alkaline that reacts with the acid in the buttermilk – this gives it a little extra rise and changes the flavor of the buttermilk keeping it from being too tangy. Oh my goodness!!! I just ate a slice of this bread!!!!! Thank you for posting such a great recipe , I am so glad I found it!! Now, to check out your other recipes…. I’m so glad you like it! Thanks for reading!